According to a statement from the County Executive's Office, this is the first county in the state to receive the panels; others will go to projects all over New York. Pieces of the old Tappan Zee Bridge will soon get a second life in projects around Orange County. 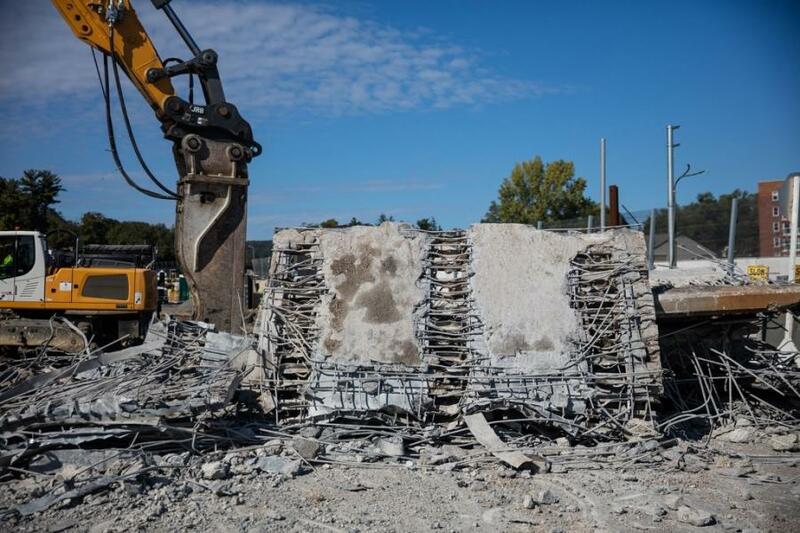 The county will receive 14 of the dismantled bridge's panels, delivered by the New York State Thruway Authority on May 14, the first of a total of 150 pieces, Westfair Communications reported. According to Orange County Executive Steven M. Neuhaus, each of the concrete and steel panels, which measure 13 ft. by 50 ft. and weigh up to 50 tons each, is worth $55,000. The panels will be used in the construction of four highway bridges and two rail-to-trail bridges, Neuhaus said. First project on the list is the Corwin Bridge in Mount Hope, N.Y., Westfair Communications reported. Using the panels is expected to both shorten the project's length and knock more than $160,000 off the total cost. The Orange County Department of Public Works is looking into other bridges that could be eligible for using the panels. According to a statement from the County Executive's Office, this is the first county in the state to receive the panels; others will go to projects all over New York, Westfair Communications reported.